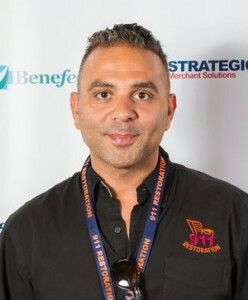 Learning about 911 Restoration Ventura and owner Zack Cohen will help you navigate the challenges presented by a water damage, sewage backup, fire, smoke, mold, or disaster scenario and return your home to be the beautiful place that you have come to love in no time. Zack Cohen and his water damage Ventura experts have been overcoming obstacles presented by such situations for their entire careers, and this has given them the experience and know-how that they need to take on anything that floats their way. “We pride ourselves on our ability to be at the scene of a water damage scenario, sewage backup, mold contamination, fire damage job, or disaster recovery event within 45 minutes so that we can get straight to work bringing the property back to normal,” Zack says. Zacks and his crews are fully aware of the reality that most of these situtations evolve quickly and that means expertise in the industry, but also a calm demeanor, quick response, and availability for anything 24/7/365. “We can handle any sized job, and we can bring all the latest drying technology, suction equipment, and air moving tools to any location fast,” Zack says. Don’t let a pipe burst, water heater failure, or ceiling leak, flood out your home unexpectedly. Contact Zack and learn about 911 Restoration Ventura today and their ability to make your property like new again in no time at all! When Zack and his water damage Ventura crews take on a job, they do so with the intention of providing people with not only a high quality restoration job, but also the added benefit of eliminating their stress throughout the process too. “We are experts at fixing water damage, sewage issues, mold abatement, lingering smoke smells, and disaster rejuvenation of all kinds, but we are most proud of our ability to make homeowners feel that they are being taken care of every step of the way,” Zack says. When you call to learn about 911 Restoration Ventura, you’ll find out that Zack and his master technicians are profoundly dedicated to customer service and support. “The customer’s needs and wishes are priority number one for us because we know how mentally taxing these times can be, and we just want to make people and their homes whole again,” Zack explains. Zack and his crews also take it upon themselves to provide property owners with the option of doing the insurance paperwork for them so that they don’t have to be worried about their home and dealing with an insurance rep at the same time. 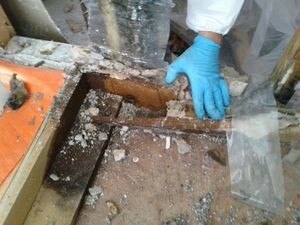 Don’t let your home be affected by a sewage backup or a mold contamination without assistance from the best in the business. Call Zack and his water damage Ventura professionals with 911 Restoration Ventura today and let them solve everything for you! 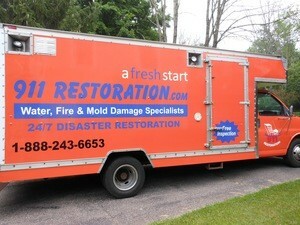 With all of their experience in the field, Zack and his expert water damage Ventura specialists with 911 Restoration know all there is to about the challenges that disasters can create and how to solve them with total professionalism. “We’ve seen it all in our work, and there really isn’t much left that can surprise us. That gives us the ability to not only solve any challenge we’re presented with, but also the ability to give advice to people on how to prevent damages in the first place,” Zack says. Zacks and his IICRC certified water damage Ventura experts know that most home restoration projects can be prevented by simple maintenance work on the home or business. “People need to make sure that they have their plumbing system inspected by a trusted professional at least once every four years or so to make sure that anything small doesn’t become something big that can cause damages down the line,” Zack explains. Another trick that people living in such proximity to the ocean can do to prevent damages is to make sure that they regularly paint or stain every facet of their woodwork to make sure that the salty air wafting in off the ocean breeze doesn’t dry rot their woodwork. Finally, homeowners can make sure that they are completely protected from disaster by taking down Zack’s number and contacting him or his water damage Ventura team if there is any issue that affects the home. Don’t give the elements the chance to infiltrate your home with water damage from a toilet overflow, pipe burst, or any other means. Contact Zack and the water damage restoration experts with 911 Restoration Ventura and let them help you keep your home safe and sound today!